The goal of writing is to communicate. It’s as simple as that. If you can understand what I’m saying, that should be what matters. Of course, if I say it elegantly, that is a bonus as it makes reading a bit more enjoyable. But, if so-called rules get in the way of elegant prose, we should simply abandon them. That is the essential message of The Sense of Style by Steven Pinker. This is a style guide for today. Pinker is a famous cognitive psychologist and linguist and he comes at style from that perspective. Do the rules that we learn in grammar school make any sense? Where did they come from? Do they really help make an English sentence or paragraph more intelligible? In many cases, Pinker concludes, the answer is no. Many rules were arbitrary edicts by almost random “authorities” who had no real reason to establish those rules. For example, the idea that you can split a verb with an adverb, the so called split infinitive, comes from the idea that English has to obey the same rules as Latin, an unrelated language. I admit, The Sense of Style aligns well with my own perspective on writing. To me, the most important thing is the logic of the prose, not the faithfulness to these rules. I do want my writing to be entertaining and easy to follow, but I don’t want to be beholden to rules that make that task more difficult, not easier. The Sense of Style provides that kind of guidance. It is actually targeted more to people who write more technical or non-fiction works, such as scientists, but the lessons Pinker tries to impart are useful for any writer. 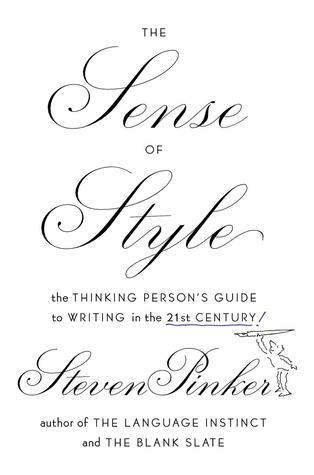 In this sense, however, Pinker focuses on “classic writing” as a style to best convey information to the reader. “Classic writing, with its assumption of equality between writer and reader, makes the reader feel like a genius. Bad writing makes the reader feel like a dunce.” How often have we read something and felt like we weren’t smart enough to understand what the writer was trying to say? From my perspective, the only weakness of The Sense of Style, and maybe it is more my own weakness, is that there are sections where, to really understand them, one needs a greater grasp of English grammar — the kind of knowledge that ones needs to diagram a sentence — than I possess. So, in some ways, it gets a little technical in the middle. The goal is to show how the logic of sentences are really crafted, and that is critical, but some of the descriptions are a bit too opaque for me. Maybe with more time to go through those sections and digest the content, it would be clearer. Thus, The Sense of Style is also very practical, with examples of bad sentences and how to fix them. I’m tempted to buy this book for all of my postdocs, as I think the guidance is very good. My only hesitation stems from the bits I mentioned above, about diagraming sentences, but I expect that most foreign language speakers are better at this than native English speakers as it seems they learn this better. I think that a more abbreviated version of The Sense of Style would be an excellent idea, one that makes the points but a little more concisely and can be used as a reference. That said, I know of many scientists that could benefit from the advice contained in this book, myself included.